On Tuesday, voters across the country demanded accountability in government, insisting their elected representatives not just talk a good game but act in the interests of the American people. Nationwide, Democrats received 7 percent more votes than Republicans — about three million — in an election that saw a higher percentage of voters than any midterm since 1966. Those voters flipped seven governorships and 367 state legislative seats to Democrats, giving them majorities in seven more state chambers. Most important, voters ended Donald Trump and his Republican enablers’ free rein in Washington by flipping the House. But this blue wave should have been even bigger. Democrats’ inability to run the table on a Republican Party that depended on lying, race-baiting and suppressing the vote is a sign that the American people do not know what the Democratic Party stands for. We Democrats can begin to answer that question by acting to guarantee equal justice under the law. For nearly two years, Mr. Trump has publicly flouted his oath of office. He has turned the presidency into a moneymaking enterprise for a family business he refuses to divest from, in direct violation of any plain reading of the Constitution. He is all but an unindicted co-conspirator in two federal felony cases. He has created an atmosphere of criminality through his hateful, violent rhetoric against political opponents, journalists and private citizens alike. Most egregiously, he has a longstanding pattern of obstructing justice. On Wednesday, he continued this by firing Attorney General Jeff Sessions and installing Matthew Whitaker — who has publicly called for curtailing the special counsel’s investigation — as acting attorney general, sparking a constitutional crisis that threatens the rule of law itself. 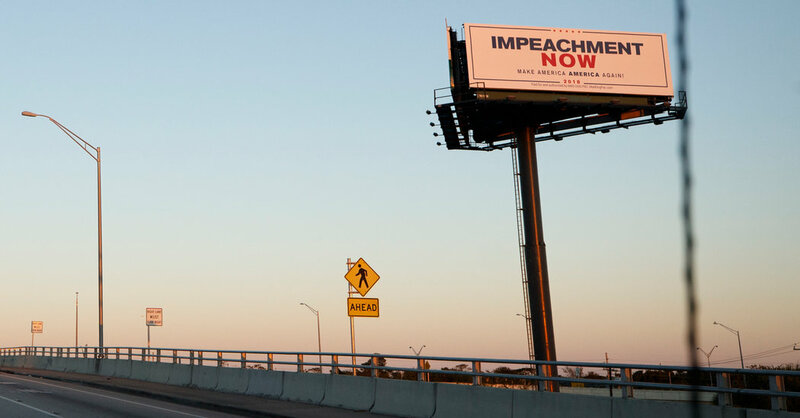 As the list of Mr. Trump’s impeachable offenses — at least nine and counting — has grown, more than 6.2 million people across the country have signed a petition, created by my organization Need to Impeach, demanding that their representatives confront his lawlessness. For months, public support for impeaching the president has been roughly equal to what it was before Richard Nixon resigned. Yet the current Democratic leadership has insisted that no one so much as mention the word “impeachment.” Instead, they have suggested using Mr. Trump’s abuses of power as bargaining chips in future negotiations. For too long, Democratic leaders have convinced their fellow elected officials that bland, nonconfrontational and incremental centrism is the way to win elections and make progress. In truth, it’s just the easiest way to protect the balance of power in Washington. But by trying to meet a corrupt Republican Party halfway, instead of taking clear stands for what’s right, they have failed to define the party and failed to protect their constituents. We see the same approach on impeachment: As a way to delay making a decision, Democratic leaders have insisted on waiting for the special counsel, Robert Mueller, to deliver his report. But now the investigation is at risk, because Mr. Whitaker could prevent the special counsel’s team from reaching a just conclusion or even releasing its findings to the public. The current, Republican-led Congress could have already taken action to shield Mr. Mueller or to put Mr. Trump in check. It still can. If it does not, House Democrats must prepare subpoenas, to be issued as soon as they take over, to ensure that the public learns the truth uncovered by the special counsel, and call on his team to testify under oath in public hearings. Should the establishment refuse to give up conventional orthodoxy and take up impeachment proceedings when the new Congress convenes, freshmen members — many of whom ran and won because of their promise to stand up to the president — must challenge the establishment and demand a say over the agenda. An overwhelming majority of people in this country elected them to hold this president accountable. There is no majority without them. That means no one has the votes for a leadership title without their support. 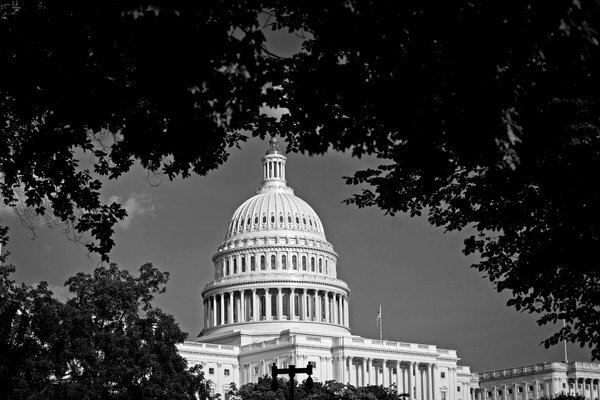 At a moment when just one-third of all Americans trust their government to do what is right, winning a majority has to mean much more than just frustrating Republican legislative goals and scoring debating points. Democrats must stand up for the safety of the American people and our entire democratic system. We cannot allow this to be an argument about what Republicans will permit — it’s about demanding the truth and protecting the foundations of our free society. Anything less would mean abandoning the Constitution. Tom Steyer is the founder of Need to Impeach and NextGen America. Opinion | What’s the Best Way to Dump Trump?